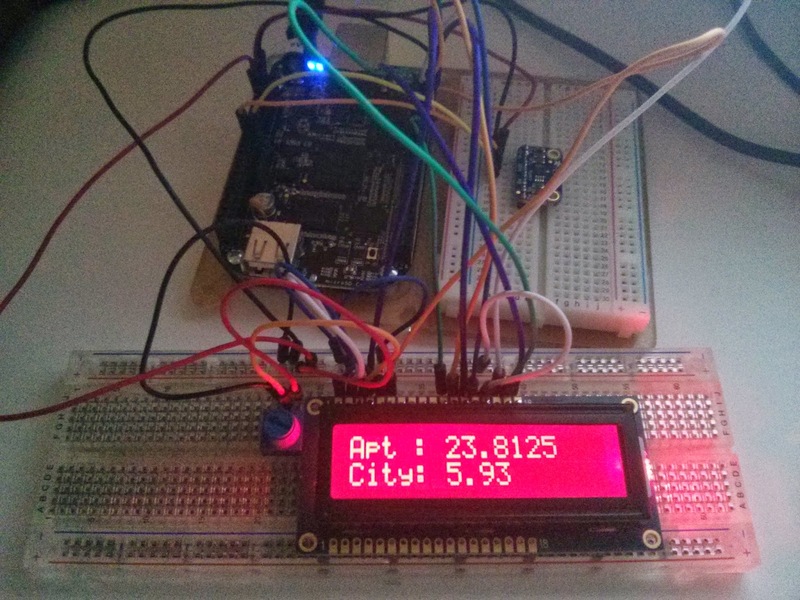 As a project I wanted to be able to monitor the temperature in my apartment and display it on an LCD screen. I also decided that I would also like to simultaneously display the local city temperature. From OpenWeatherMap you can register for free and obtain an API key. Using the pyowm library is relatively straight forward which then allows the data to be obtained and displayed on the LCD screen. I have a cron job that runs every 15 minutes during the hours I want the screen to display. I posted the Python script I used on my GitHub repository in case anyone finds it a useful reference.